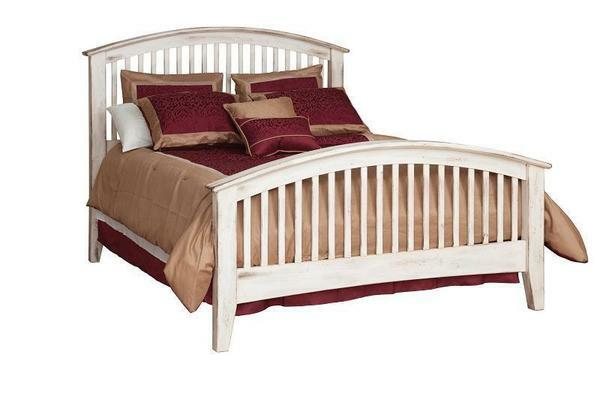 The beautiful Concord Bed features hardwood construction throughout to ensure a stable and comfortable bed. Additionally, premium hardware is used in this construction of this Amish bed to complement the strength of the hardwood. The Concord Bed is built to heirloom quality standards and designed to last a lifetime! Featuring gentle curves in the headboard and footboard which provide a warm and gentle tone, as well as Mission style panels in both boards which provide balance and harmony, the Concord Bed promises pleasant goodnights and warm welcoming good mornings! This bed is available in a number of solid hardwood species and finish options to fit the design of your bedroom. Also, choose from Twin to King depending on your needs and lifestyle.